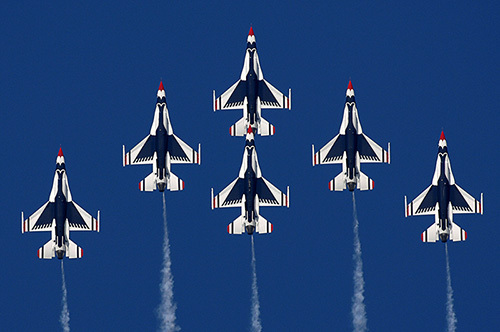 USAF Thunderbird Team OVERHEAD – INSIDER ONLY! Look Up & Smile Sacramento! Please keep this info Insider ONLY … The USAF Thunderbirds 6-Ship will be arriving around 13:00 PT (1:00 PM PT) today. Here’s the FUN part … upon arrival, the team will perform their survey flight in-and-around Mather Airport. Be sure to go outside and give them a wave. And tomorrow, it’s full-tilt GAME ON for practice! You can expect the skies above Sacramento to come alive with “Freedom’s Roar” as the team gets warmed up for the weekend. The Thunderbird’s Advance Pilot and Crew Chief arrived yesterday. Below is a personal message from the Thunderbirds to all our California Capital Airshow Fans! The message comes courtesy of Thunderbird #6 Major Matt Kimmel, who’s home town is Vacaville, California! 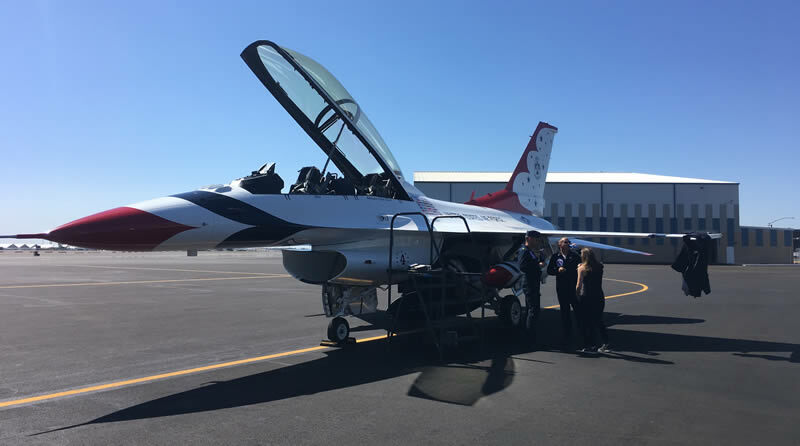 Major Kimmel and all the members of the United States Air Force Thunderbirds are looking forward to bringing a spectacular demonstration full of precision and power this weekend!